The Amarr and Minmatar fight is heating up. If you were to read Susan Black’s latest blog post you would think that the Amarr are hiding in stations while the Minmatar roam free and rule the war zone. What Susan fails to tell her loyal readers is the truth. 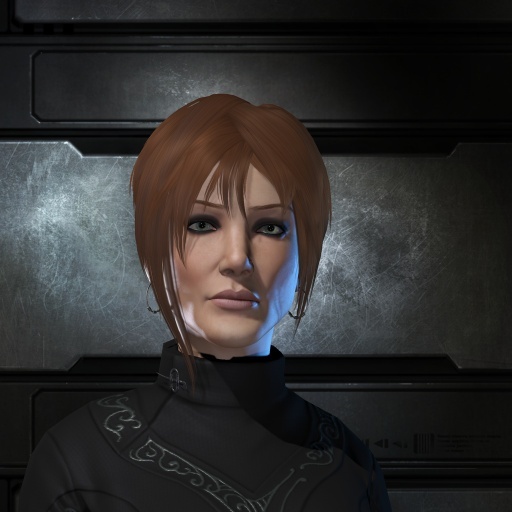 Susan would like everyone to think that Amarr does not work together. That we don’t talk. That there are five different fleets up at all times and we refuse to form up and fight Late Night. Nothing could be farther from the truth. Let’s forget the recent fights in Kourm. The ones where every able Amarr pilot in any intel channel who was awake was in. The fleets that fought for and pushed the Minmatar out of plexes in Kourm. Lets forget those recent fights and focus on your ever day happenings in the war zone. For you to understand the current Amarr fleet doctrine I first have to give you a little history lesson. When I.Law first moved back to the War Zone after a much-needed break from the same old fights we made a choice. We would not fight Late Night head to head in Kourm Huola area. The Minmatar’s ability to reship quickly and counter what we brought on field made this not worth while. Being out numbered is a good fight. Being out numbered while your opponent can ship to counter what you bring on field is suicide and I’m not into suiciding my fleets for the fun of it. Our tactics became more guerrilla warfare. We run cruisers and down. Get in. Get a fight. Get out before your enemy can double your numbers and drop a triage on your cruiser fleet. This has been working well. We have become very successful at picking away at the Minmatar. Every night when our fleet advert goes up we accept almost all pilots. If you are in a player corp and can fly a rifter you can join us. Most nights there are pilots from five or six different corps in our fleets. Our numbers range from ten to twenty pilots. Sure, there are more online but people do have to make isk or some prefer to defensively plex instead of roam for hours. This is every pilots choice and who are we to dictate how they spend their game time? History lesson over, on to current affairs. Susan Black tells her readers over and over the Minmatar are winning because they adapted. They formed an alliance and worked together for the greater good. Fine I will give her that. No one can deny that Late Night Alliance has become a very powerful force. But the Amarr have also adapted and did so to survive. With the massive influx of players and cohesion the Minmatar became too powerful for the US TZ Amarr to counter head to head. The old days of ship up and ship down and meet on Huola Kourm gate had to end. The Amarr adapted by changing their fighting style. By denying the enemy the ability to apply their full force on our fleets we tip the engagements in our favor. Dictating where, when and what we fight is adapting. Of course this does not always work and we do end up fighting out numbered and out shipped sometimes but for the most part we do what we do very well. Susan thinks Amarr must change from a PVP fighting style to empire building to effectively adapt to the upcoming changes. This could not be farther from the truth. Holding space will still mean very little to most players. Most Faction War pilots I talk to just want to get fights and blow stuff up. Even the isk incentive is not enough to make pilots want to plex or care about holding space. We are not forced to play the hand we are given by CCP. Many Amarr pilots took to the forums to protest the changes that they did not want. After the changes were set in stone some people decided they did not want to continue in FW. Why would someone continue on if the changes would ruin their style of play? Remember this is a game Susan. We play to have fun. The Amarr Militia plays its own game. We will not be told where to fight or what to fly. If Late Night wants to bring twenty cruisers to counter our ten dessys that’s fine. They just have to know we will not fight them. They can sit in Huola all night and defend their space. We will roam and kill you in ones and twos and fives and tens. Once we stir the hornet’s nest and Late Night wakes up we will move on and go kill other Minmatar elsewhere. We have adapted more than you could ever know Susan. Perhaps more so than you and your lot. We have changed our fighting style. We have changed what we fly. We have changed where we live. The Minmatar have changed very little. The basis of your change is a huge influx of numbers and an alliance. Any side who has two to one odds every night and every fight can be smug in their assumptions of their enemy. Susan proves that. Too bad she is also wrong. This entry was posted on May 16, 2012 at 6:02 pm and is filed under Uncategorized. You can follow any responses to this entry through the RSS 2.0 feed. You can leave a response, or trackback from your own site. U complain about us being able to reship. When u guys lived in houla u could reship all the time and it shitted me so I took houla from u. Instead of crying why don’t u step up. It was only about 5 of us that took houla and made it what it is today. We also broke Eran. Killed your entire dread fleet. And pushed ilaw out of warzone with little effort. I think u guys are just bad. Um Ilaw had already moved out of the war zone when that fight happened. Most of us were sick of the same fight on the same gate. Also Silence i think its you who is mad. We are flying how we want to fly and you sit in your station and spin your ship. Thats what you and Susan can never understand. We don’t have to fight in huola or kourm to have fun. We don’t need to own systems. Get over yourself. I’ve been pretty effing busy actually. Creating and building alliance doing all that stuff takes allot of my time. I for one am THRILLED to see your change of heart in the last couple of hours, Almity, I’m glad you came to your senses. I mean earlier today you were lamenting that CCP “almost nailed Inferno” except for the station lockout, which was going to make it “too hard for you to play the game the way you like to play”. I’m stoked to hear that ILAW doesn’t even need any space after all in order to have a good time, and that you’ll be out roaming and fighting regardless of what happens. I hope the rest of your corporation shares the same positive attitude you have about the coming expansion, does this mean we can expect the week-long chain of ILAW complaints spanning twitter, EVEO forums, and Sov Wars to finally come to an end? lol. Your reply is so full of crap. I never changed my position. I fought aginst the changes I thought were bad for FW. How can I effectively make my point without saying something is wrong? You encouraged us to share our thoughts on the changes we wanted to see. Many people did that and stated what the possible ramifications of the changes would be. That’s all I have done. And responded to the insults and hate thrown at the Amarr Militia. Nothing has changed. Last night things were back to normal. 40 minmatar with neutral support plexing. Good times Hans. I’m not a big fan of the we are great they are terrible crowd. I was always happy to leave that to the caldari and gallente. Susan’s blog is getting pretty ridiculous on that count. I will confirm that these dessie fleet are fun. I am glad susan is having fun blobbing up, she does not need to whine that we aren’t doing the same. Let’s all be freinds. Who has Facebook ? I would never facebook you. You minmatar are too unorganized and soon to be extinct. Got nothing to do with FW myself, but I have to agree, seems like you’re mad Almity. Hans if you and the minmatar would stop the inferno cheerleading we won’t respond to it. How I feel about Inferno as a CSM representative is a separate issue from how I will deal with the changes once they are decided upon (until the next iteration changes them again, of course). Like I said before, I have the exact same complaints that you do about how Inferno SHOULD have been – but now that its here I’m still going to fight for victory regardless. I’m not going to stop killing Amarr, helping my faction for victory, or smack talking if we beat you in combat. That’s just playing the game. Many of the blogs these days are an extension of in-game tears and smack talk, not some objective conversation about the changes. If everyone kept all the “you awful minnies” or “you clumsy amarr” stuff out of Inferno discussions, I would too. That stuff really has little to do with the mechanics themselves. I just don’t take the ridiculous things that have been said about me or the names I’ve been called or the accusations of bias and treason seriously, the ones that really feel that way are just “being the enemy”. It’s role play, and I totally get that. Likewise, if I’m “chestbeating” or whatever, its also role play, and there’s no reason for any Amarr to get seriously upset over it. I’m going to continue cheerleading for the Minmatar, I hope we win the war. No apologies about that. But as for the CSM? You and I both know how I feel about Inferno, and my work doesn’t magically end on May 22. I’ll be on this all year long till CCP gets it right. I’m just not about to stop having fun along the way, and make the most of what is given to us. How long will it take for ccp to end the no docking rule? My name is Sneaky Noob and I like guacamole.